As many of you know, I’m not so much into the whole Halloween thing. It’s the avoidance of being scared. I hate (HATE) to be scared. But I do love fall. And the beautiful colors of the leaves. And pumpkins. Boy, do I love pumpkins. Especially white pumpkins. Here are some fun pumpkin party ideas I pilfered from Pinterest! Gorgeous white pumpkin flower arrangement. I’d like one of these for my dining room table, please! 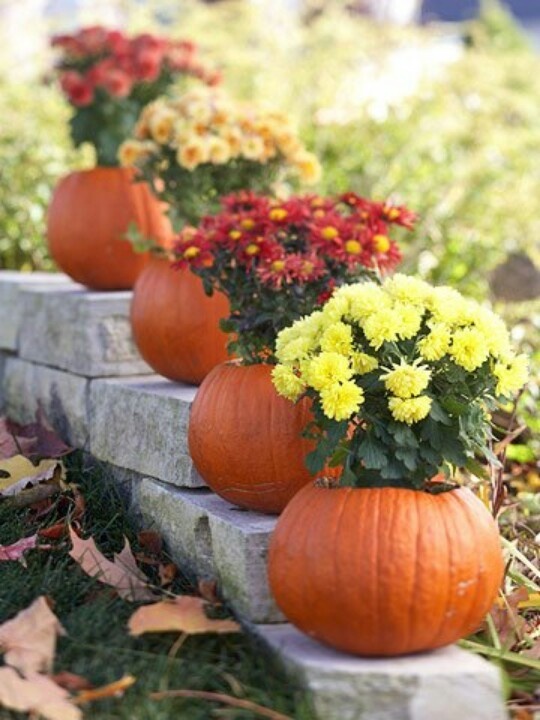 Classic combo of mums and pumpkins – you can’t go wrong, especially when you use a variety of colors with the mums. How much do I love a lace-covered white pumpkin? You don’t even want to know! 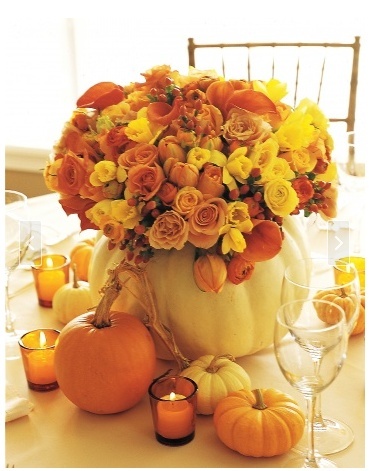 This is such a clever and cute idea using mini pumpkins as table cloth weights. Look for more great ideas at Better Homes & Gardens. Speaking of clever, this is a fabulous idea! 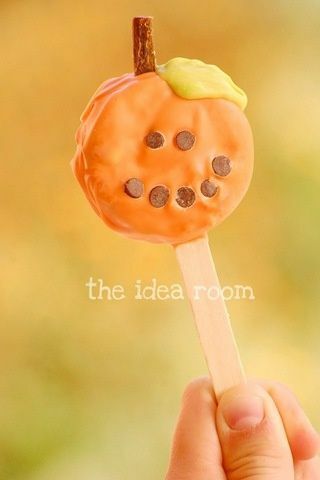 And this little Oreo pumpkin on a stick from The Idea Room is so fun! Don’t you just want to go home and throw a pumpkin party?